On closing this, the final line in the command prompt window is "Access is denied". I am running Win10 (64 bit) and the command prompt is running as elevated. My simple script can be seen bottom right in the screenshot. Any ideas why this isn't working please? 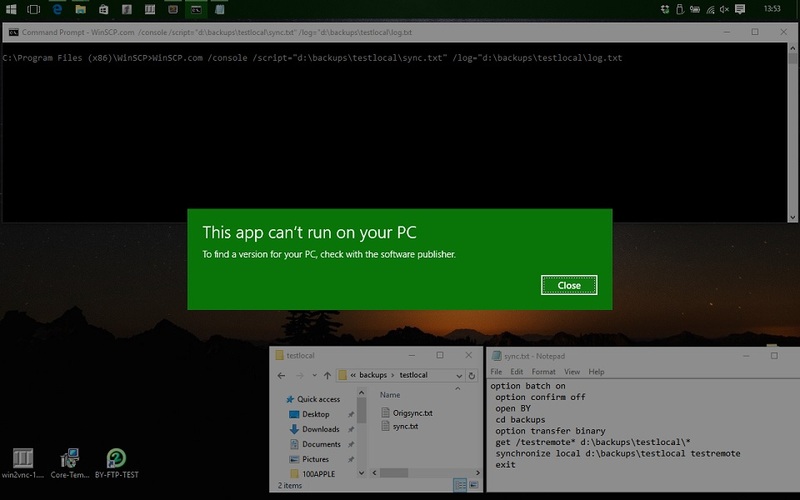 Is WinSCP scripting not compatible with Windows 10? I'm sure I remember doing it differently under W8! Strange. I can run winscp.com on Windows 10 x64.